Of all the depressing news stories of the past year (and there were quite a few, weren’t there? ), one very uplifting story sticks in my mind. The fact that it involves arsenic and bacteria may convince you otherwise, but I assure you it really is inspiring. Really. 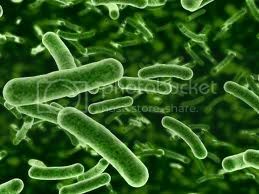 It seems as though a group of NASA scientists have trained a species of bacteria to survive without phosphorous. That didn’t seem too wonderful a thing to me, but then I read that phosphorous is one of the six essential building blocks of life. Take that one out, no life. In the span of a few short months, the bacteria replaced the phosphorous in their DNA with arsenic, which is poisonous to cellular life. I’ll admit I quit reading that article halfway through and went on to something that better suited my tastes—something about football, if memory serves me right. But the story stuck in my mind for some reason, and I kept going back to it. There seemed to be something valuable there, some truth that needed to be pondered. I didn’t know what on earth it could be, especially considering the fact that science and I, while acquaintances, wouldn’t be considered friends. But even if you know as little as I about biology, you have to admit this is pretty interesting news. A group of people have managed to sustain life when life should have been unsustainable. Amazing! Wonderful! Then again, this is nothing new to most people. History is littered with periods when life seemed impossible and yet thrived nonetheless, times when hope waned and fear gripped us all. Times like the Dark Ages, when disease was rampant and death was a constant menace. Or that first Thanksgiving, with all those starving and cold Pilgrims. I would imagine those who lived in my neck of the woods didn’t feel much like living during the Civil War. Same goes for the depression of the 1930s. I’ve heard stories from soldiers who fought in World War II, those who struggled through winters in Europe and summers in the South Pacific, who felt sure they would never make it home alive. I’ve heard the same from veterans of Vietnam. There are times when life is reduced to its most basic essentials—a choice between pushing on and lying down. And it’s in those times when all seems lost and impossible that we discover just how strong we are. Time and again and through thousands of years, we’ve found that the sweetness of life cannot truly be tasted in the good times, but in the bad. When its preciousness is most apparent. Of all the stories I read in 2010, that’s the one I’m carrying with me into 2011. Because for many, this is yet another in a long line of dark times. There’s so much uncertainty, so much fear. Our days seem to totter on the edge of some great abyss, and it seems that the only thing keeping this world on an even keel are prayers and what hope we can muster. It’s worth mentioning that to some degree, every year is the same. People have always been hungry and still oppressed. Governments have always been corrupt. Earthquakes and hurricanes and floods and blizzards have always been with us. We say our times are especially bad because we’re the ones in them. The truth is that there have always been worse. So for me, when things seem their worst and my fear seems the strongest, I’m going to remember the tiny bacteria that has managed to survive on poison. I’m going to try to emulate that. I’m going to walk on, and not lie down. Fear and uncertainty will accompany us always. I recall that after 9/11 many people kept asking me if I feared living in the Washington, D.C., area. I said no, not at all, and I meant it then, and feel no differently now. Fear can be overcome, often with a subtle change in perspective. So, I’m with you. Just keep walking on and if you fall down, get up. Fear is the opportunity to be courageous. And… like bacteria, we are born to evolve. When I am afraid…..I run to God. So anything that brings me closer to Him has to be good in it’s own way, no? Ha! Excellent. Don’t look now…but I think your inner geek is showing. Your writing is getting better all the time, too. And it was really good to begin with. Time does just march on, doesnt it? Despite our best efforts, the inexorable fulfillment of destiny happens. Oh man, so true. What a great observation, Billy. And I just read your testimony page. Wow. God is so good. You have an interesting perspective, as always. My word for 2011 is “hope”. Does that seem unrealistically optimistic? Maybe that’s what it’s all about…beating those odds. Maybe, the life that thrives in the midst of the poison is the one that shines. I don’t know. I’m kinda like you, Billy, just an acquaintance of science. But I think you’re right. There seems to be something there in that story. I don’t do a whole lot of science reading, but this metaphor is so compelling. I’ll carry the imagery with me too, as a new year begins. Thanks for a great read. As a scientist, I love to learn about all of these tinkerings. During my studies what I was so struck by is the order and synchronization at each level of creation, from quarks dancing within the atoms to galaxies dancing around the universe. “He counts the stars and calls them all by name.” (Psalm 147:4). This blows my mind. As much as scientists discover, they are still working for the most part on the models of nature. We are not CREATING things, but simply substituting and modifying preexistent structures and forms. Thank you for the reminder to look at what really matters through the impossible. As usual, a bit quirky, but brilliant. Your best line is that we’re not living through anything worse than previous generations, it’s just that right now we are in the middle of it. That’s when I remind myself that God’s still in control. He who created a universe so orderly that they can predict the times of sunrise and sunset on, say, January 5, 2046, knows what’s going on. Better yet, He knows why. Maybe it’s so we develop some resiliance and stronger roots, like the tree growing out of a rocky cliff that’s buffetted by the winds vs. the one sheltered and watered in somebody’s front yard. I am still mulling over a word for the year. But resilience might just end up being my watch word this coming year. The no see-ums have bit us once again (microscopic transcendence). Great thoughts to ponder here. Thanks.